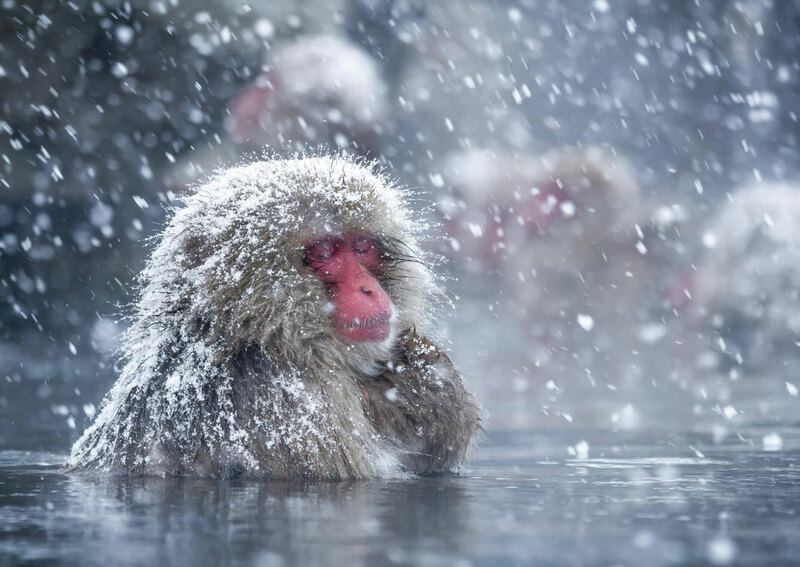 Japanese macaques, also known as snow monkeys, have been enjoying regular baths in the hot spring at Jigokudani in Japan for decades – and have even become a popular tourist attraction. A team of researchers led by Rafaela Takeshita of Kyoto University in Japan have now published the first study to scientifically validate the benefits of this behaviour. These findings indicate how behavioural flexibility can help counter cold-climate stress and have likely implications for reproduction and survival. The study is available in Primates, the official journal of the Japan Monkey Centre, which is published by Springer. Be the first to comment on "Hot Springs Help Japan’s Snow Monkeys Cope With The Cold"